- The Brown Dog Tick, commonly found in Southeast and Southwest Florida alike, grows to about one eighth of an inch in length, and begins its life as larvae with six legs growing into 8 as they progress into nymphs and adults. These pesky parasitic creatures feed on the blood of dogs, rodents, and other animals and are even pushed to feeding on human blood when no other host is available to them. 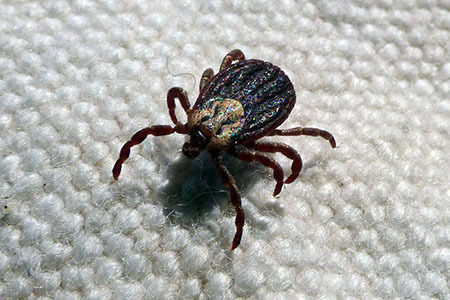 - These ticks thrive in the warm climate South Florida provides them with. Their ability to reproduce in hard-to-reach locations makes them a difficult pest to find and therefore a pest requiring extensive treatment to fully control and eliminate. They are known to spread disease humans and in dogs alike, and are unsightly and frowned upon when encountered. If you or a family member or pet have encountered what you think could be a tick problem, seek professional solutions to the problem. Take Advantage today!